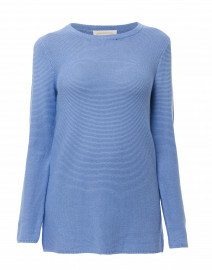 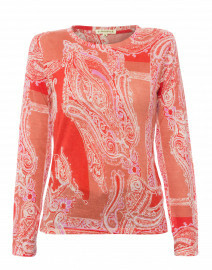 Sail to Sable is known for sumptuous fabrics and feminine, trendy styles. 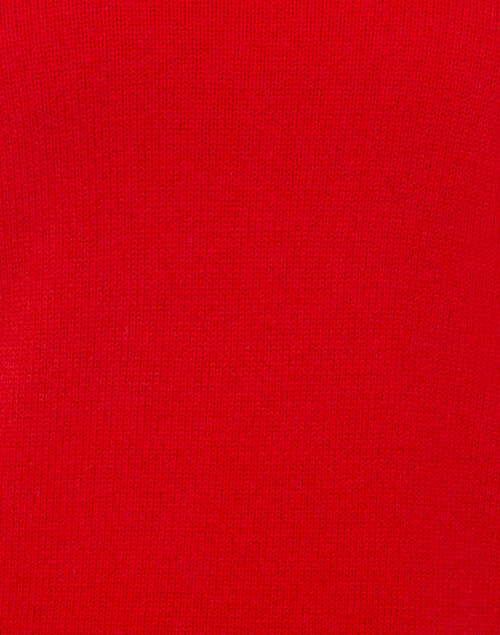 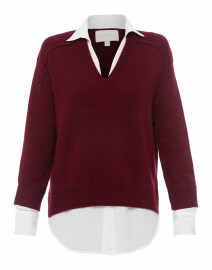 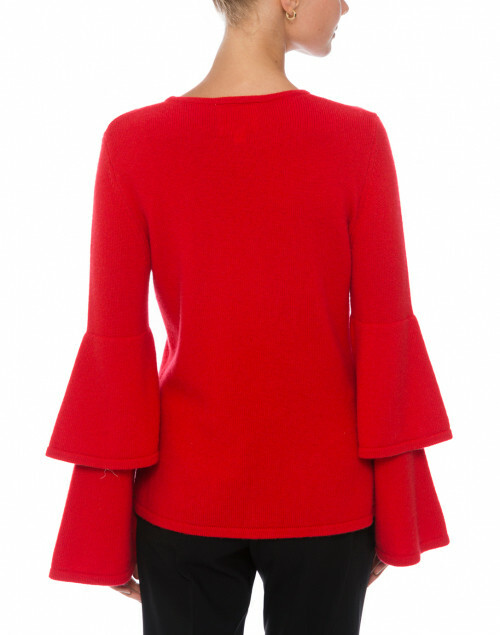 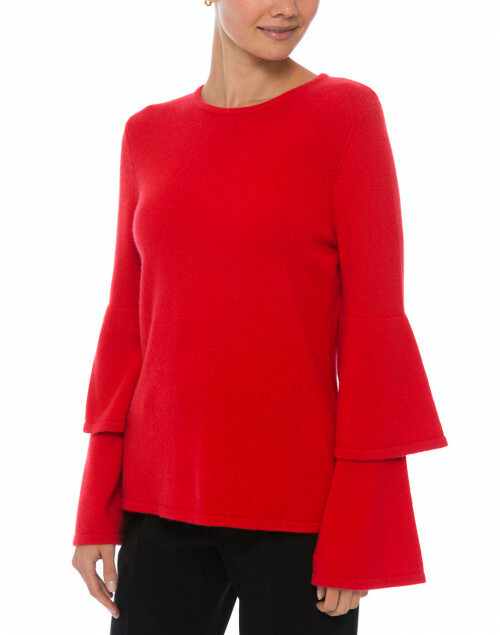 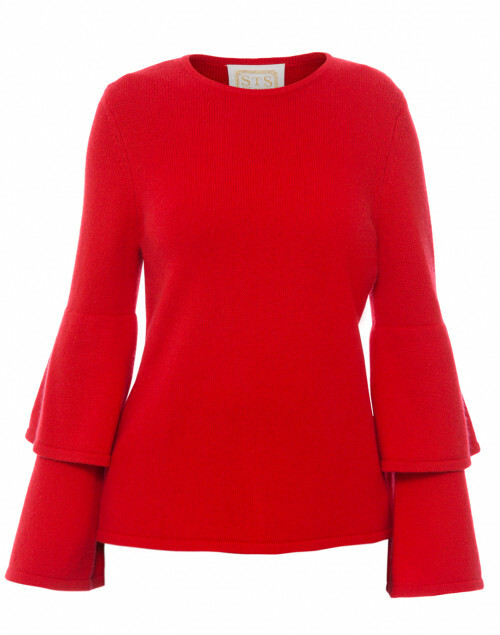 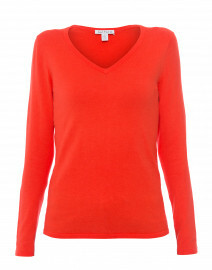 This bright red sweater is knitted with a crew neckline and long, flared, tiered sleeves. 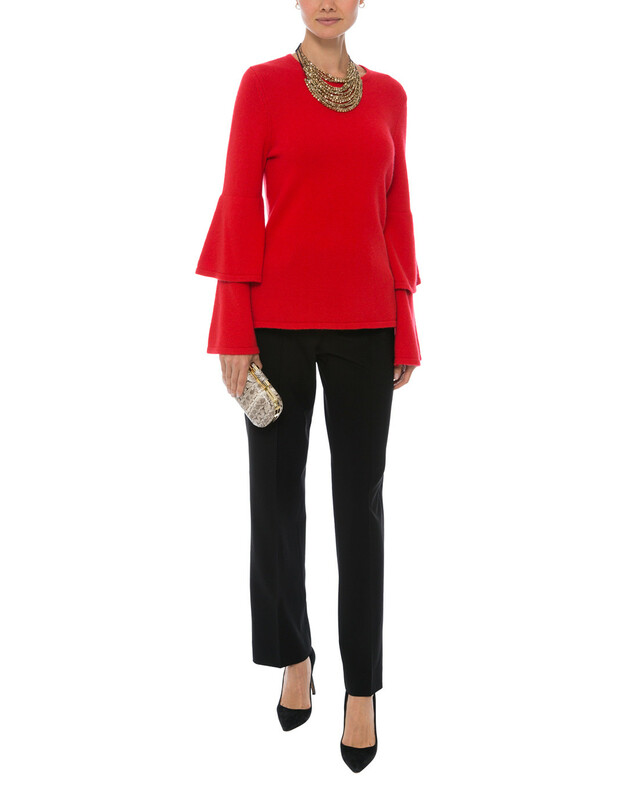 Dress it up by adding a statement necklace and slim trousers for a festive, feminine look. Length 22" 22.5" 23" 24" 25"
Shoulder Width 13.5" 14" 14.5" 15" 16"
Bust 34" 35" 38" 40" 44"
Waist 32" 33" 36" 38" 42"
Hip 37" 39" 42" 44" 48"
Sleeve Length 21" 21.5" 22" 23" 23.5"